For openers, and because the trade deadline (Feb. 21st) is rapidly approaching, it wouldn’t be the worst thing in the world if somehow the Knicks can pull off a trade. What they need is a a guard. The faster PG’s in the league have run circles around their tandem of Felton, Prigioni, and Kidd. Felton has already missed a dozen games this season and is prone to injuries given the way in which he plays. Kidd, turning 40 soon, has had chronic back issues and cannot keep up with the Westbrooks and the Walls when he IS on the floor. Prigioni, the 35 year old rookie, made his bones in Europe where they’re really not sure what defense even means. The stout defense that the Knicks paraded around courts throughout the league during their first 15 to 20 games has become a distant memory. Rasheed Wallace who has missed 26 games since going down with a sore left foot injury back on December 17th, hasn’t helped. He played a huge part on the defensive end in the beginning of the season and has been sorely missed. Marcus Camby hasn’t played much as well, and Iman Shumpert who recently returned after recovering from knee surgery, has not been the same defensive juggernaut that endeared him to the team and the fans alike last year. Amare Stoudemire has been coming along nicely on offense but has never been known for his defensive ability. 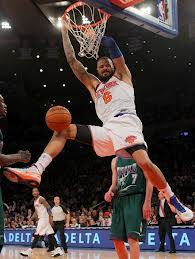 So that just leaves Tyson Chandler, last year’s defensive player of the year. He is simply not enough to keep opposing players from driving the lane. Yes, he can rebound as well as any center in the league, but he doesn’t intimidate like he did last season. On offense, he doesn’t create at all and rarely puts the ball on the floor to post up. He, instead, makes his living off of pick and rolls and alley-oops from Raymond Felton. The Knicks, which the league has now caught up with, is essentially a perimeter shooting team that lives and dies with the three-pointer. Any team that can defend the perimeter takes away the majority of the Knicks game. And of course, any team that can slow down or stop Carmelo,(look at the Clippers game over the weekend and what Grant Hill did), make the Knicks vulnerbale especially if J.R. is not “on”. So what do the Knicks have to do in order to have their best opportunity to get past at least the first round in this year’s playoffs? Besides, “all of the above”, they were doing one other thing in the beginning of the year that they have gotten away from… Ball movement! It was crisp passing and making the ‘extra pass’ that helped spur them to the fast start this season. Lately it seems that all too often the ball ends up in Carmelo’s hands while four other guys just stand around and watch him create shots. Change is not always good, but good coaches and good teams find a way to make adjustments if what they are doing needs tweaking. Mike Woodson and the Knicks need to do just that in the second half of the season if they would like this to be a successful one, and given the ages of a lot of the team’s players, there aren’t a heck of a lot of seasons left in which to do so. This just in….The Knicks are for real!! In case there was any doubt about the backbone and focus of the 2012-2013 Knicks, they were put to rest on Thursday night in South Beach when a Carmelo-less New York team completely outplayed and dominated the world-champion Miami Heat. It was a repeat of the NBA opening season game when these same Knicks, albeit WITH Carmelo Anthony on the floor, blew out the Heat at Madison Square Garden by the same 20 points that did Miami in last night. And this was made even harder as it was the second game in a back-back following a toughly contested one the night before won by the Knicks thanks to J.R. Smith’s buzzer beater with time expiring. They seemed to have a swagger about them during this game that was reminiscent of the team which had Allan Houston and Patrick Ewing back in the 90’s, a time when we were treated to many a competitve contest between the two teams. These Knicks have been playing with reckless abandon this season opening up a 1 1/2 game lead over LeBron James and the rival Miami Heat and boasting a 14-4 record after winning their last five in a row. They currently are the only NBA team unbeaten (8-0) at home. The Knicks’ formula this season has been to bombard their opponents with three-pointers and play swarming defense. Case in point, they score an average of 103 points a game, 4th in the league, while giving up 95 points a contest which ranks them 8th; an almost perfect balance of offense & defense. They lead the league in three-pointers attempted, three-pointers made, and are third in the NBA in three-point percentage. 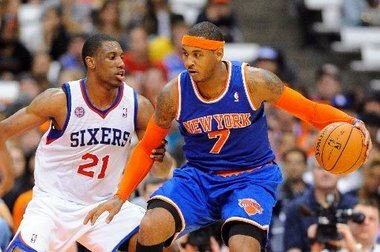 In the 2012-2013 season, there will no longer be one NBA team in the State of New York. The Nets, formerly of New Jersey, have moved to Barclays Center in the borough of Brooklyn and have put together a formidable team that will rival what the New York Knickerbockers will put on their floor this year. We will discuss the changes that were made in these two teams, their fundamental differences, and their outlooks for the season. For starters, competition is good. New York is a state with eight million people and for decades it has been a one basketball team town. This is a state that at one time housed three baseball teams simultaneously; the Brooklyn Dodgers, the N.Y. Giants, and, of course, the N. Y. Yankees. Currently in California there are four NBA teams; the Lakers, Clippers, Warriors, and Kings. So why not have two NBA teams in New York? Certainly the timing couldn’t be better for the Nets to have made their move. The Knicks have been been struggling for quite a while, winning only one playoff game in over a decade. They haven’t won a championship in almost 40 years! 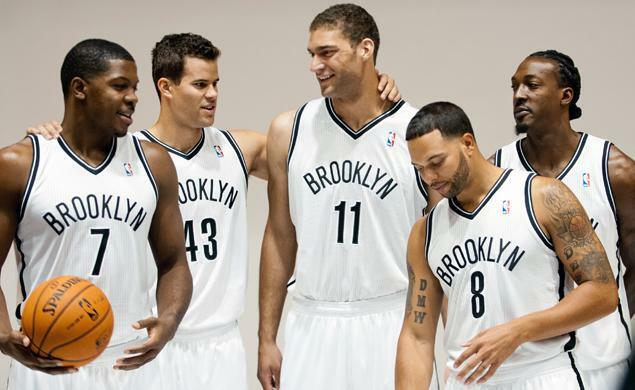 However, it won’t mean that Knick fans will suddenly change their allegiance and become Nets fans either. 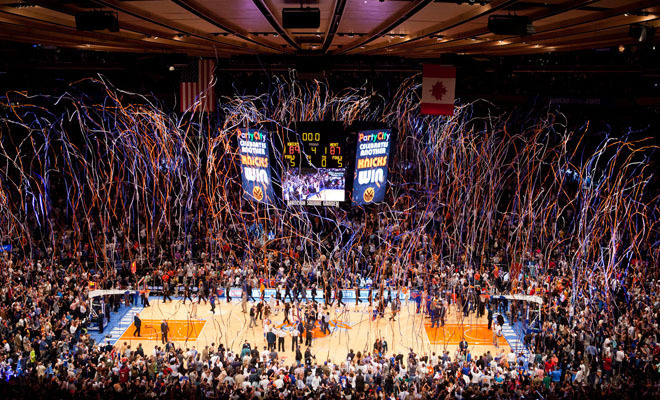 Remember these are the same loyal fans who have gone through a long stretch without a winning team but want it so badly that after winning game four in the first round of last year’s playoffs, they threw confetti and gave their players a rousing- standing ovation inside a packed Madison Square Garden as if they had just won the NBA Championship! So what have these two teams done in the off-season to better their chances at having stellar seasons this year? Well the Brooklyn Nets biggest move was in picking up SG Joe Johnson from the Atlanta Hawks, giving them arguably one of the top three back courts in the NBA. Entering his thirteenth year in the league, Johnson has career averages of 17.8 points, 4.2 rebounds, 4.4 assists, and just under 2 threes per game. Besides Johnson, and the Nets two draft picks Teletovic and Shengellia, they also acquired G C.J. Watson and big time rebounder F Reggie Evans. Leaving the Nets were four guards; Anthony Morrow, Gerald Green, Jordan Farmer, & DeShawn Stevenson along with Forward Jordan Williams and Center Johan Petro. They still have one of the premier PG’s in the league in Deron Williams. The problem with the Nets has been their defense, which is surprising as they play for a defensive minded coach in Avery Johnson. In the last two years they were 21st and 29th in the league in defense. They will need to do better than that if they are looking to get to, and go deep in, the playoffs. Their center Brook Lopez (who is a candidate to be traded this midseason) is a scorer but not a great defender. F Gerald Wallace had more RPG than Lopez and opposing big men usually do well against him. Kris Humphries just isn’t athletic enough to do much except rebound. (He averaged 9.2 points a game last year). And Marshon Brooks can light it up from beyond the arc. To sum up this year’s Nets team, they have a great coach, a good GM, a good bench, and one of the best back courts in basketball which could be good enough to get them at or near a playoff berth this year. A side note…two Nets players have part of the city in which they’ll play in their names; Brook Lopez and Marshon Brooks. Just sayin’..
As far as the Knicks are concerned, this is a team with a whole host of question marks attached to them. 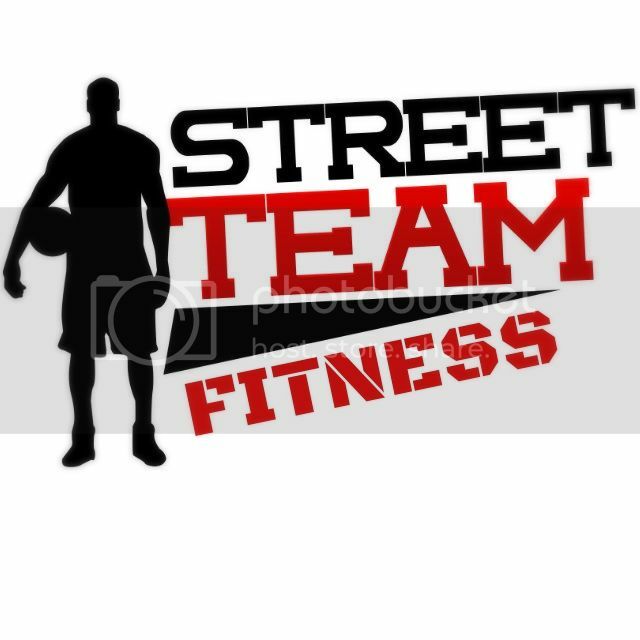 They opted to change courses and unload players who were inexperienced and not savvy like G Jeremy Lin, F Landry Fields, and G Toney Douglas and instead stock themselves with highly experienced ones who know how to play ‘smart’ basketball. Players, (most of them who are a couple of years shy of joining AARP) like C Marcus Camby, F Kurt Thomas, and G Jason Kidd. Coach Mike Woodson, now in his second year as head coach, has what the Nets lack; and that’s a strong defensive team with last year’s Defensive MVP C Tyson Chandler, Thomas, Camby, and, G Iman Shumpert, when he returns sometime in December or January from tearing the anterior cruciate ligament in his left knee, the same injury that took place literally hours after it happened to G Derrick Rose on April 28th. J.R. Smith, who will start in Shumpert’s place, has an opportunity to shine if he can play consistent basketball. One of the question marks surrounding the Knicks season involves the health of some of it’s players. In particular F Amar’e Stoudemire who, in the past four seasons, has missed 70 games with injuries to his back, groin, and knees. He is already expected to miss the first three weeks of the season. Then there’s the concern of the older players being able to play 20 minutes a night over an 82 game schedule and any post-season action that may follow. PG Raymond Felton who averaged 11.4 points and 6.5 assists last year with Portland, returns to the Knicks who he played for in 2010 and who thrived under coach Mike D’Antoni. The problem is without the pick and rolls he was used to back then, and with more Carmelo Anthony ISO’s, Felton might struggle to put up the kind of numbers that he did in his first stint with the Knicks. To sum up this year’s N.Y. Knicks team, they have a good coach, a good bench, and with a healthy Stoudemire, an above average front court. They also have some key role players in Kidd, Camby, Brewer, Novak, and Prigioni. There should be no reason why they don’t finish somewhere around 6-7th when all is said and done, depending on all their question marks…We’ll get a better sense of how these two teams will fare when they go up against each other at Barclays Center in Brooklyn on Thursday, November 1st.